This is why I like Vila Madalena. The streets in this neighborhood aren't named after people, well, some are, but at least there aren't any named after some "significant" historical date nobody even knows about. They aren't streets from our childhood, but streets from our adolescence, our youth. In fact, they are streets for who likes to drink... socially. This is why Vila Madalena does not "start at Paraíso (Paradise) and end at Consolação (Consolation) like Av. 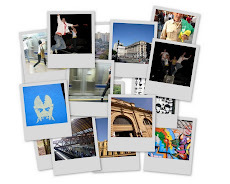 Paulista does. 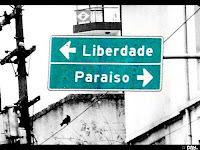 Nor does one have to choose between Liberdade (Liberty) and Paraíso. [Vila Madalena] is in the business of good company. At Vila Madá (an endearing term those closest to the neighborhood use), Hramonia (Harmony) crosses Purpurina (Glitter) before getting to Wisard, which cross Girassol (Sunflower), which leads to Aspicuelta, of which I have yet to find the meaning... but if found, the poet would be proud.